WELCOME TO OUR STAFF Q&A SERIES WHERE YOU CAN MEET THE PEOPLE BEHIND RESTORE THE MISSISSIPPI RIVER DELTA! TODAY WE’RE CHATTING WITH Katie Gruzd, Campaign MANAGER WITH Environmental defense fund AND RESTORE THE MISSISSIPPI RIVER DELTA. Hi Katie! Tell us a little about what you do with EDF and Restore the Mississippi River Delta? 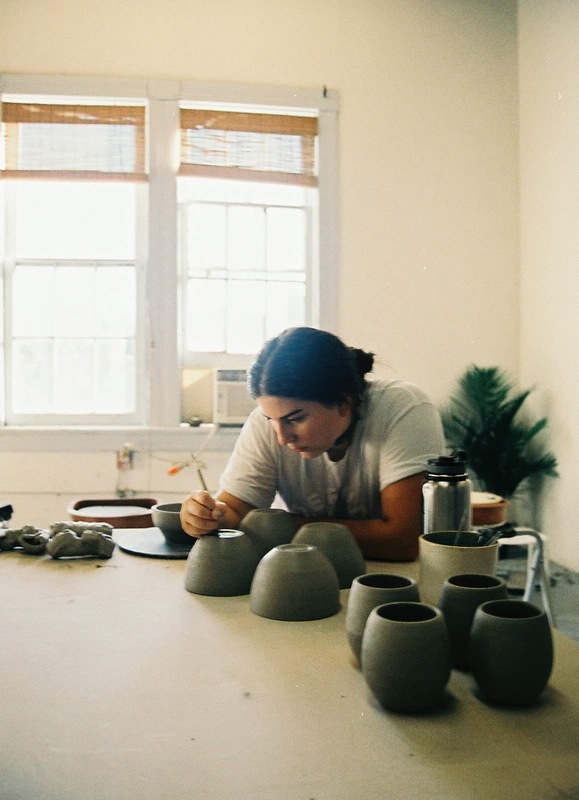 Katie working on ceramics in her studio in the Bywater. As Campaign Manager for Restore the Mississippi River Delta, I work on internal project management and organization. Many people don’t realize that Restore the Mississippi River Delta is actually five separate organizations (and several other partners), each with their own missions, but all working together on coastal restoration in Louisiana. Most of my job is providing connective tissue across the organizations and a structure for organizing all the various work being done. I became interested in Louisiana coastal issues during a graduate school class at The New School in New York City, of all places. I had gone directly to grad school in NYC after graduating from Loyola University New Orleans in 2013, and, while I very much enjoyed my grad program, I really, really missed Louisiana. In one of my first classes, coastal land loss in Louisiana was mentioned as a case study during a lecture, and I became immediately curious. I had been vaguely aware of the issue, but didn’t fully understand the problem. After that lecture, I continued to do my own research, pivoted my graduate focus to environmental issues, conducted research on wetlands and their development in Uganda, and ended up writing my Master’s thesis on coastal land loss in Louisiana (to put it broadly). We know the task of addressing land loss is daunting. What gives you hope? I recently heard a saying, “Hope is a verb with its sleeves rolled up – you have to work for it,” and that is what gives me hope – the work I see being done around me. In my role with Restore the Mississippi River Delta, I interact with our more than 60 staff members regularly, and I get a front row seat to the work being done – scientifically, socially, economically, politically, etc. When you get to know how passionate and intelligent those working on this issue are, and when you learn about the specific projects, ideas, and plans they’re moving forward, it’s hard to become daunted, and nearly impossible not to have hope for Louisiana’s future. What is your favorite Louisiana food or restaurant? I originally grew up in San Francisco, CA, and when I moved here almost 10 years ago, there were so many new, incredible foods I learned I’d been missing out on: grits (! ), crawfish, boudin, gumbo, sweet tea, etc. My favorite might not be a “Louisiana” specific food and more generally Southern, but I’ll never forget the first time I ate fried green tomatoes – it was at Jazzfest the first year I lived here, and now I get them there every year! I’d be a potter, and throw bowls, cups, pots, etc. out of clay all day. 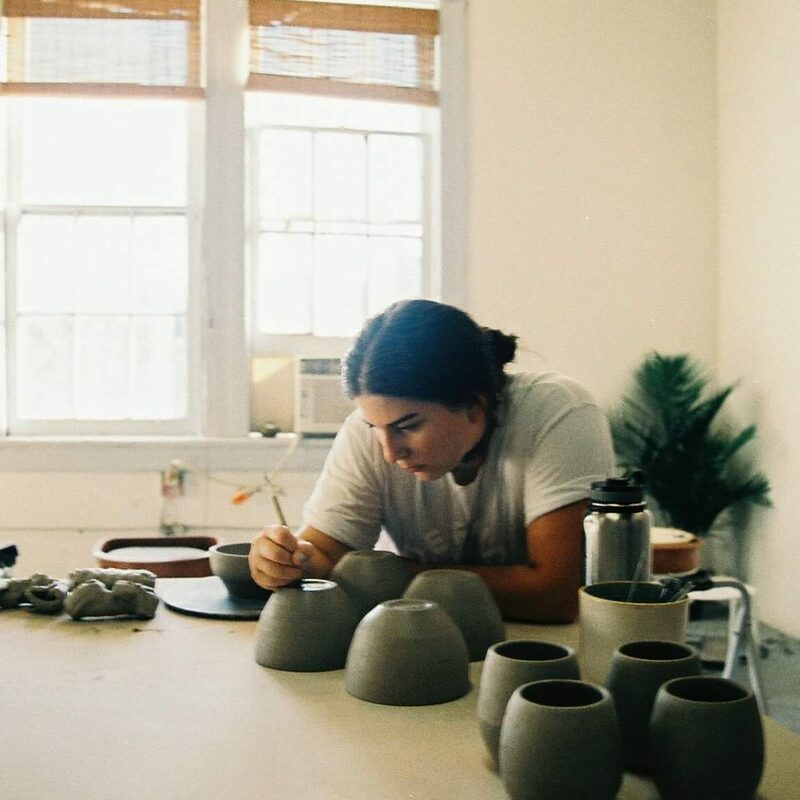 I’ve been practicing making ceramics as a hobby for the past four years and love to spend my spare time doing it, so I know it’d be a pretty fun job to do full time. My dream, one day, is to dig wild Louisiana clay, use that to create pots, and connect my passion for the coast to my artwork. 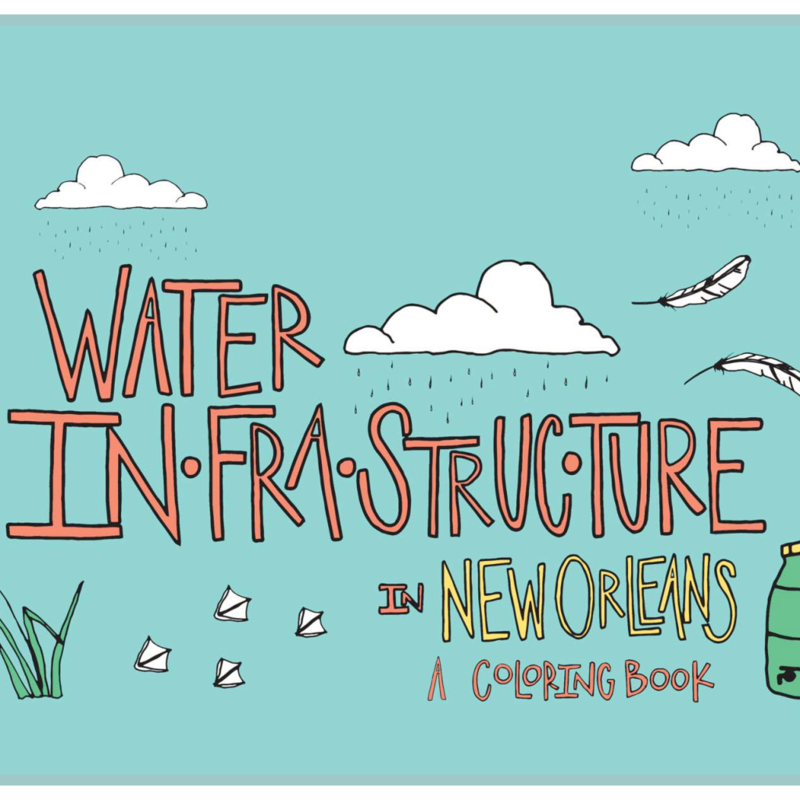 I created a coloring book all about water infrastructure in New Orleans! 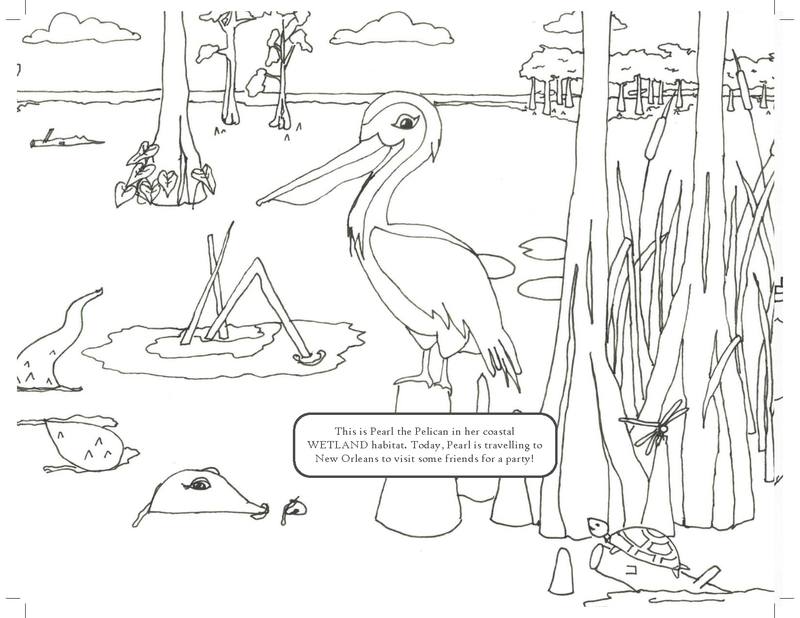 It follows a pelican named Pearl from the coastal wetlands of Southeast Louisiana to the floodgates between Lake Pontchartrain/Bayou St. John in New Orleans. 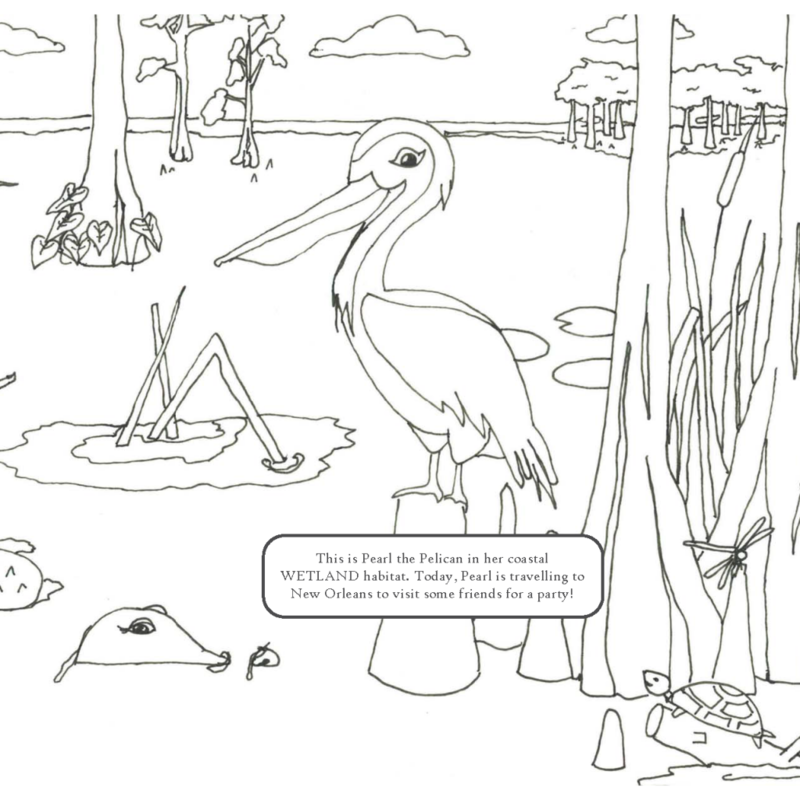 I’m interested in using art to communicate environmental issues/challenges, and this coloring book was one of my first projects that aimed to break down a big, complex issue – stormwater management – and make it accessible for kids (although, adults have enjoyed it too!) 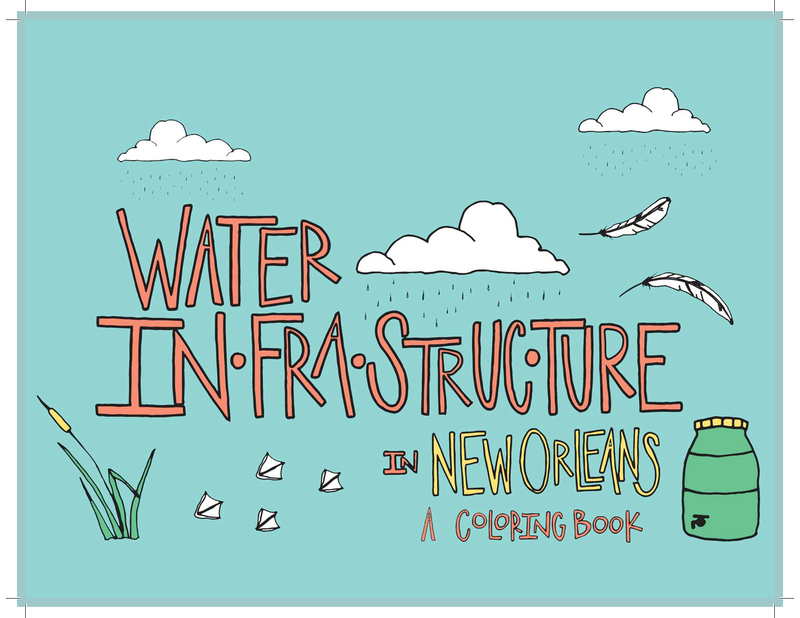 I just finished up a new version of this coloring book with the City of New Orleans’ NOLA Ready office, and that will be available to the public very soon (look for an orange cover)!